Honestly, I don’t know why more people don’t use cranberries in their smoothies. You know the huge bags you see in the grocery stores with frozen berries of all types, all ready to be tossed into a blender? 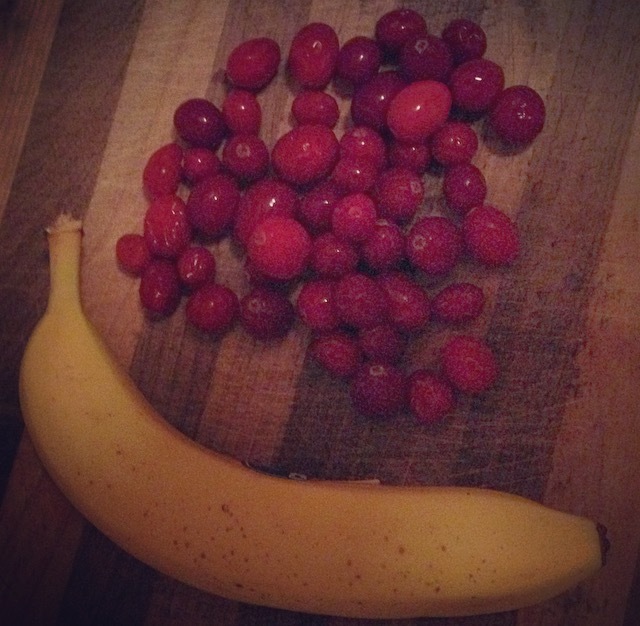 All you really need are some cranberries and a ripe banana. Cranberries have huge amounts of Vitamin C, Vitamin E and fiber, which lead to amazing anti-inflammatory, anti-oxidant (and even anti-cancer!) properties. They also have a deliciously tangy flavor that goes great with chocolate. 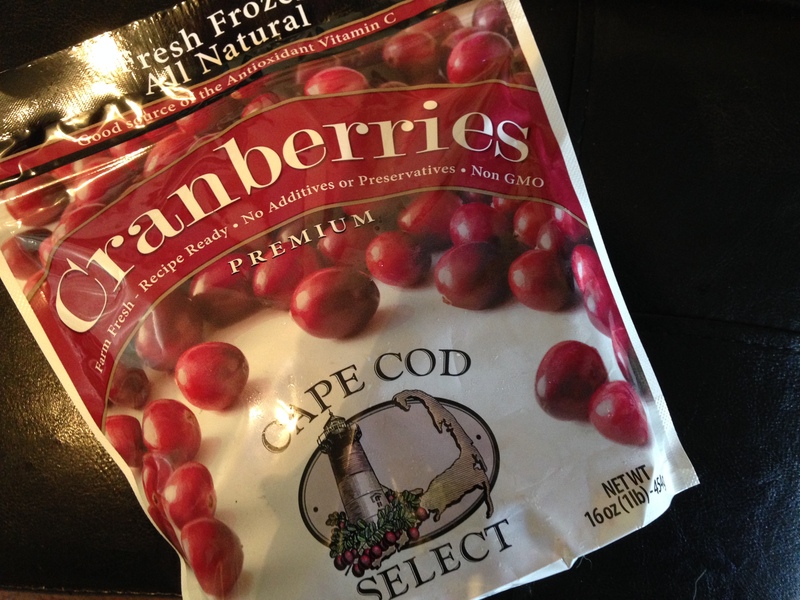 I encourage you to check out the great recipes and other goodies on Cape Cod Select’s Facebook, Twitter, Instagram and Pinterest; and if you can’t find them in your local grocery store, check out the store locator here. 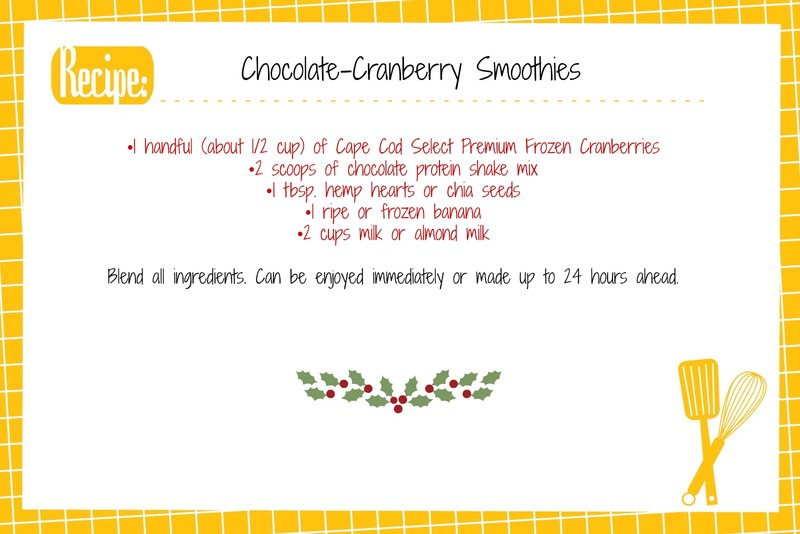 For this simple recipe, you take a handful of Cape Cod Select Premium Frozen Cranberries, plus a frozen or ripe banana and milk. 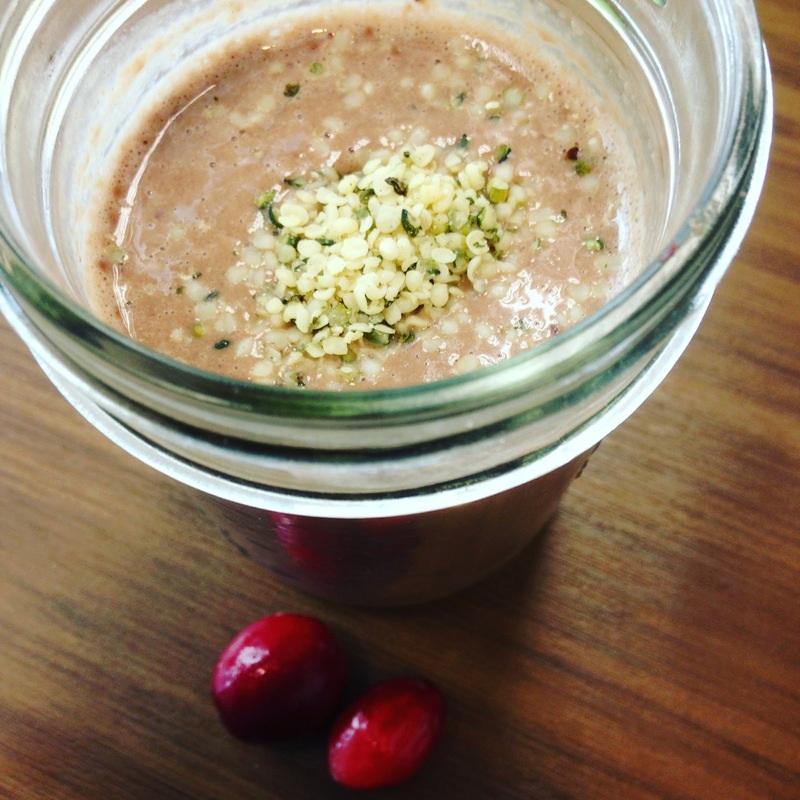 I also add chocolate-flavored protein powder (I enjoy the Orgain brand powder in chocolate fudge flavor for this recipe, but use your favorite brand), and either some raw hemp hearts or chia seeds for extra thickness and fiber. If you’re on the go and don’t have a fancy travel cup, remember that mason jars (with plastic, re-usable lids) are an excellent way to reduce waste! This entry was posted in breakfast, brunch, condiments, contests, cooking, food, holidays, October Unprocessed, paleo, pescatarian, snacks, sponsored posts, Uncategorized, vegan, vegetarian and tagged Cape Cod Select Premium Frozen cranberries, cranberry chocolate smoothies, cranberry smoothies, healthy smoothies, smoothies, sponsored posts. Bookmark the permalink.